Canon STV-250N Mini A/V Male to 3 RCA Male A/V Cable features a mini A/V connector at one end and three RCA plugs at the other end. 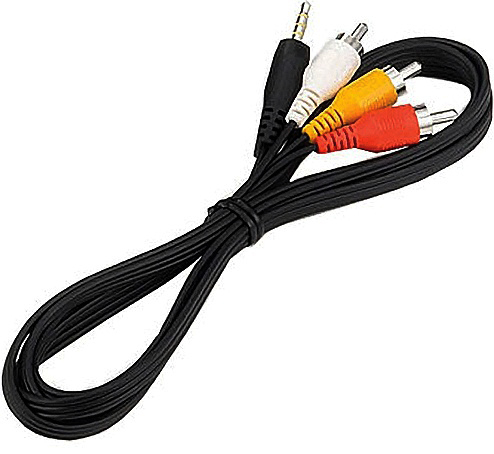 The cable allows you to playback video and stereo audio on your TV or VCR directly from your compatible Canon camcorder. It is compatible with Canon EOS 5D Mark II, C210 DVD Camcorder, DC220, DC220 DVD Camcorder, DC230, DC310 DVD Camcorder, DC320 DVD Camcorder, DC330 DVD Camcorder and many more. It feature a high grade material construction for durability and precise functionality. It can be attach and detach easily without any worry. 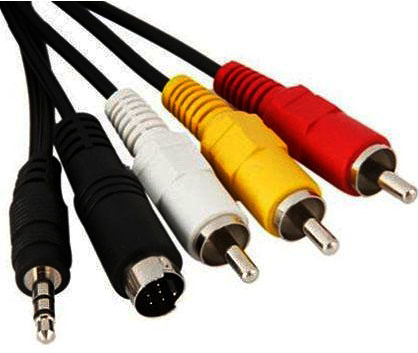 For more information about, Canon STV-250N Mini A/V Male to 3 RCA Male A/V Cable website.